North American Aviation did not come into existence under the name of a single individual as did so many aircraft companies during the Golden Age of Aviation. It was incorporated in 1928 by a group of individuals interested in investing in aviation-related securities. 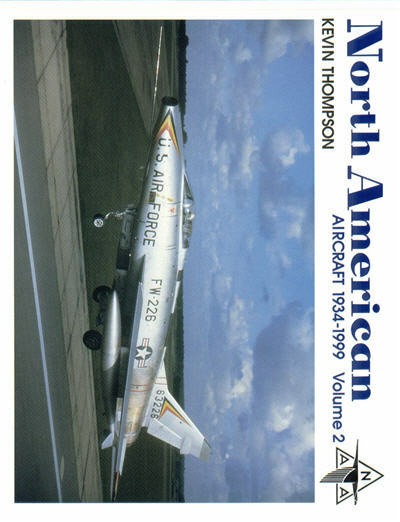 Through a series of purchases and unique circumstances (and some severe ups and downs), it became a major force in aircraft manufacturing from the GA-15 observation plane and the NA-16 basic trainer to today's sophisticated military jets.Completes the coverage of all the aircraft built by North American Aviation and Rockwell International. Includes specs, production charts and accurate scale drawings as well as an 11-page chart listing all the NAA planes ever built. Complete your set with Volume 1.